"You're next target is in Paris. There'll be no back-up." EuropaCorp has released the first trailer for Anna, the latest action film written & directed by French filmmaker Luc Besson (of The Professional, The Fifth Element, Lucy, and Valerian). Besson gives us yet another badass beautiful assassin film, this time starring Russian supermodel Sasha Luss, making her acting debut. Beneath Anna Poliatova's striking beauty lies a secret that will unleash her indelible strength and skill to become one of the world's most feared assassins. The cast includes Helen Mirren, Cillian Murphy, Luke Evans, Lera Abova, Alexander Petrov, and Anna Krippa. This looks really cool, with some slick action. And Helen Mirren looks awesome. But it also looks a bit like every other beautiful female assassin film, hopefully there's something that gives it an edge. Beneath Anna Poliatova's striking beauty lies a secret that will unleash her indelible strength and skill to become one of the world's most feared government assassins. An electrifying thrill ride unfolding with propulsive energy, startling twists and breathtaking action, Anna introduces Sasha Luss in the title role. Anna is both written and directed by French filmmaker Luc Besson, of La Femme Nikita, Léon, The Fifth Element, Angel-A, Adèle Blanc-Sec, The Lady, Lucy, and Valerian most recently. Featuring music by Éric Serra. This has yet to premiere at any film festivals or otherwise. 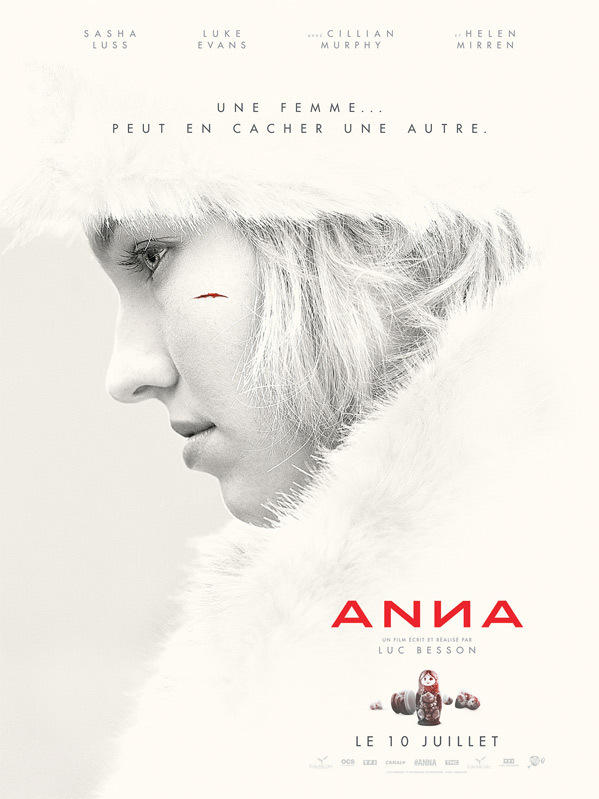 EuropaCorp will release Luc Besson's Anna in theaters starting on June 21st, 2019 coming up this summer. First impression? Looking forward to it?